PortMyApps - Port your Windows app in a matter of minutes! The easiest, the quickest and least costly way to port Windows software on Mac and Linux ! Mac OS and Linux represent today around 10% of personal computers. Yet, many software applications do not exist on these systems. Usage share of operating systems in 2014. The number of Mac OS and Linux compatible games has grown considerably in recent years. ...port your program without any development costs* ! * Subject to compatibility. Feel free to contact us for more information. * You should not send a setup file. You have to send extracted files. allowing to run Windows programs on many platforms. Looking for a more dedicated service? Users: Download PlayOnLinux or PlayOnMac for free! Software publisher: Contact us to let us help you. With Shape3d Lite you can create your own surfboard. The Mac port allows printing and file association. 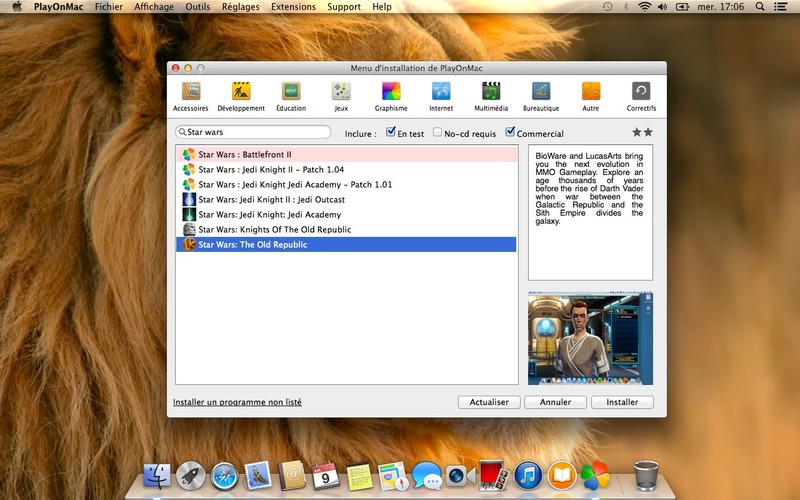 PlayOnMac is free software allowing easily install and use numerous software designed to work on Windows. 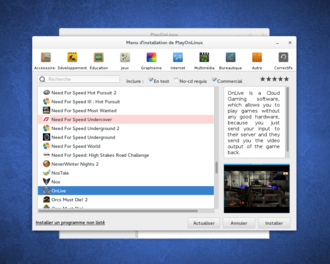 PlayOnLinux is the Linux version of PlayOnMac. The program counts tens of thousands of installations and uses each day. My program won't run with the online tool. Which Mac OS versions are supported? Can I port my program to Linux with your tool? Can I associate a file type with my ported program? Mac OS says that my program is from an unidentified developer. If your program does not work with this tool, it may be not compatible with wine. To be sure, you can download PlayOnLinux or PlayOnMac. These software are more flexible to configure wine, but less efficient for porting programs. PortMyApps has been tester on MacOS from 10.6 à 10.10. However, feel free to contact us if you want your application to be ported on Linux. .app files generated by our tool are set for this feature. However, the online tool does not support it yet. If you want to do it, you'll have to modify the file Info.plist in the .app by yourself. Feel free to contact us if you want us to do it for you. Do you need further information or would you like to discuss an issue with us personally? Feel free to contact us!